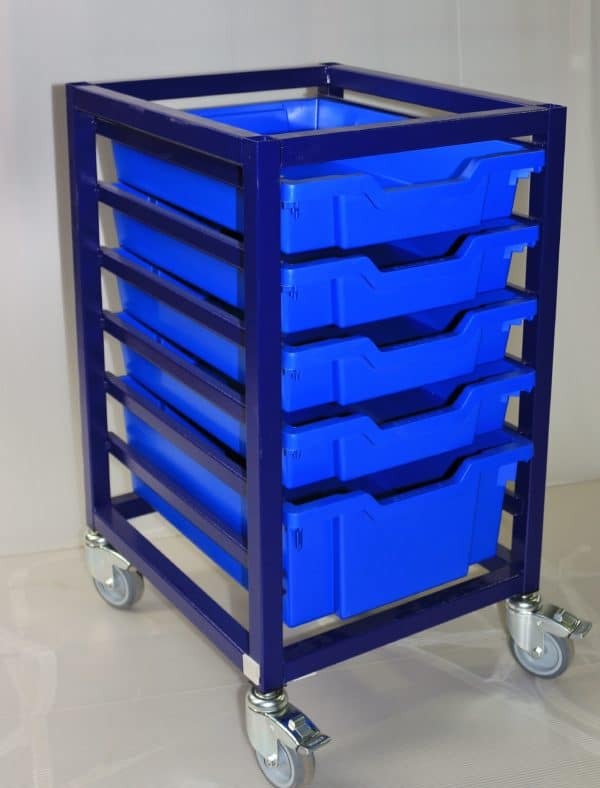 We offer a range of hospital shelving and storage solutions that can be purchased with ease via our online shop. 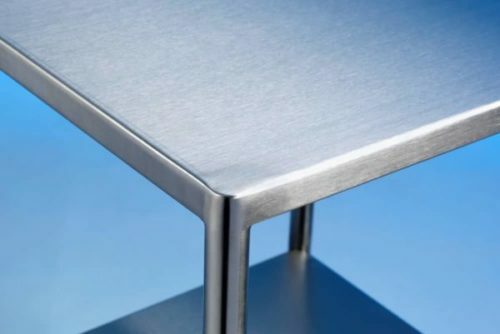 Manufactured in the UK: Fabricated in Grade 304 Stainless steel the chassis is fabricated to suit your choice of our stainless steel shelving. 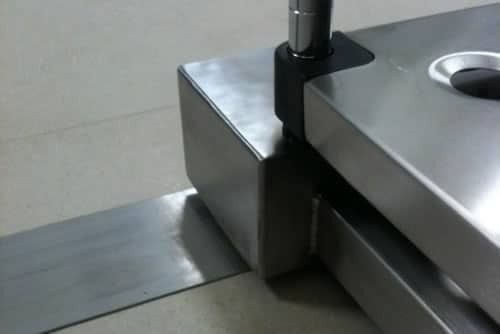 Ease of Installation: No building works required, our installation team simply bolt a rear guide rail to the floor and low profile stainless wear strips to wheel positions. 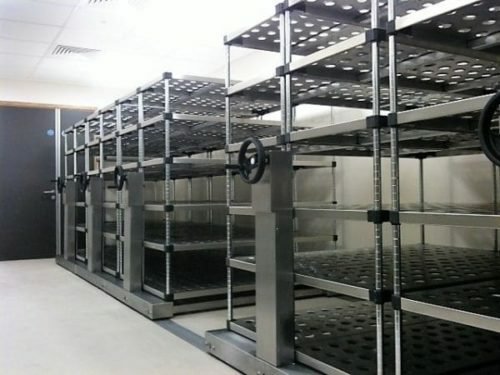 The chassis bases are located in position and each stainless steel rack is then installed. Ergonomic: Fitted as standard with a mechanical hand wheel on each chassis bay. 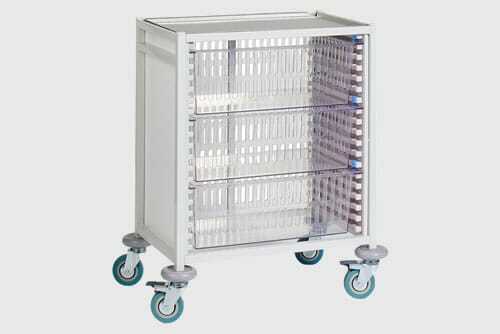 No trip hazards and easy entry for picking product by hand or with a trolley. 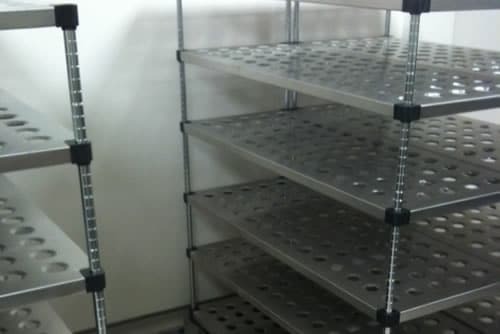 Flexible: Our rolling rack system can be designed to make the most of your available space, increasing storage capacity by up to 60% over traditional storage shelving. 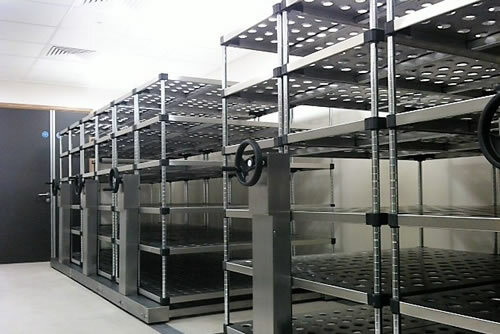 Choice: All our racking systems and HTM71 cabinets can be accommodated on this system. 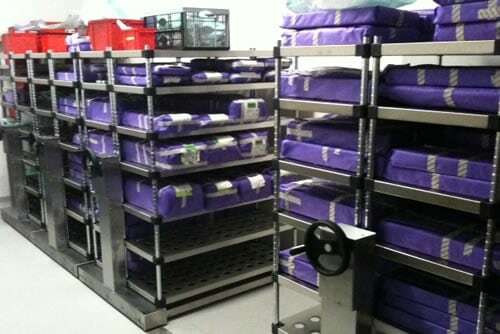 Clinical: Used in conjunction with our solid stainless steel storage shelves, this is a fantastic solution for main theatre pack stores, high density storage with shelves that do not present a tear risk for sterile wraps. 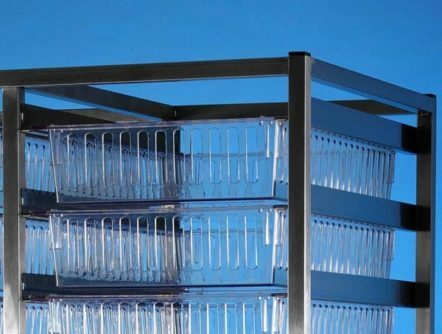 Vented: Where shelf air flow is required, we offer a variety of solutions including, stainless steel wire shelves, perforated stainless steel, chrome wire shelves, vented plastic shelves and vented polymer.